National Geographic's dazzling photography book of visual wonders, shot by some of the world's finest photographers, reveals a world very few will have the chance to see for themselves. 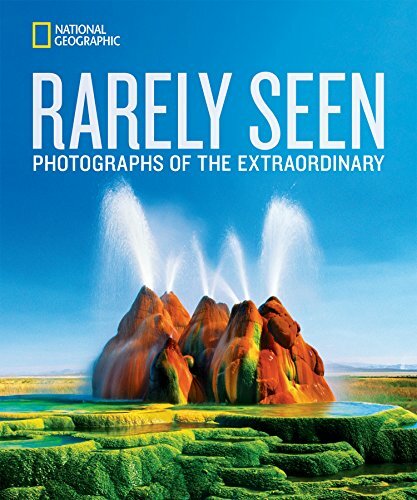 This New York Times bestseller features striking images of places, events, natural phenomena, and manmade heirlooms seldom seen by human eyes. It's all here: 30,000-year-old cave art sealed from the public; animals that are among the last of their species on Earth; volcanic lightning; giant crystals that have grown to more than 50 tons; the engraving inside Abraham Lincoln's pocket watch. With an introduction by National Geographic photographer Stephen Alvarez, whose work has taken him from the Peruvian Andes to the deepest caves of Papua New Guinea, Rarely Seen captures once-in-a-lifetime moments, natural wonders, and little-seen objects from the far reaches of the globe.